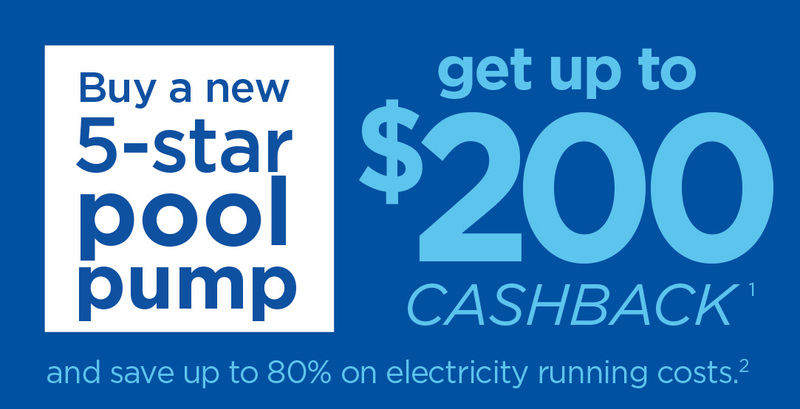 If you’re located in an area where we are trying to reduce peak demand on the electricity network and you own a swimming pool, you can get up to $200 cashback by replacing your existing fixed speed pool pump with a 5-star pool pump OR $250 cashback by connecting it to Tariff 33 Economy. Use our Incentives search to check your eligibility for a cashback. 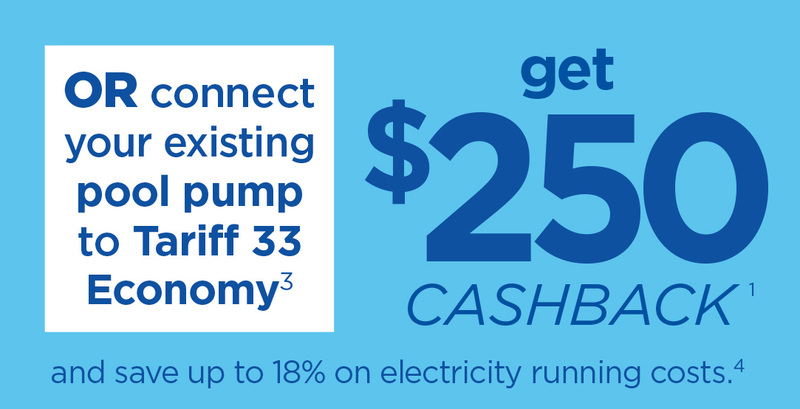 Pool pump cashback offers are currently available in the Townsville North West, Mackay Northern Beaches and Cannonvale areas. Terms and conditions are available on the Apply now page for each of the above Incentive programs. Make sure your electrical contractor or supplier/installer gives you an invoice with details to confirm your pool pump has changed from fixed speed to minimum 5-star OR details to confirm your pool pump has been connected to Tariff 33 Economy. Ready to apply for a cashback? Go to Ready to apply for a cashback? For more ways to reduce your electricity running costs for your swimming pool, check out our pool pump tips. We’ve also got a pool pump calculator to work out how much you can save by switching to Tariff 33 Economy. For more information talk to your local pool shop, call us on 1300 977 421 between 9am to 5:00pm, Monday to Friday, or email us at demandmanagement@ergon.com.au. Available to residential and business customers in the eligible area. Terms, conditions and eligibility criteria apply. Based on 1.1 kilowatt fixed speed pool pump operating for 6 hours a day replaced with 160 watt 5-star energy efficient variable speed pool pump operating for 8 hours a day. Off times will depend on electricity demand, however power will always be available for a minimum of 18 hours per day. Comparing notified prices for Tariff 11 with Tariff 33, effective 1 July 2016.